Bank of China has just released a Qoo10 Mastercard that lets you earn rebates on your everyday spending… but the catch is, your rebates are in Qmoney (Qoo10 currency), not REAL money. I’m torn about this setup, because getting Qmoney rebates essentially forces you to shop on Qoo10. There doesn’t seem to be any way to convert your Qmoney to actual cash. (If anyone hears of a workaround, let us know!). On the other hand, where else would you get a 20% rebate on public transport spending!? As someone who spends an inordinate amount of time and money on the MRT, that was the most eye-catching feature of the credit card. I feel like I deserve some kind of reward for my continued support of SMRT. A 20% rebate sounds about right. 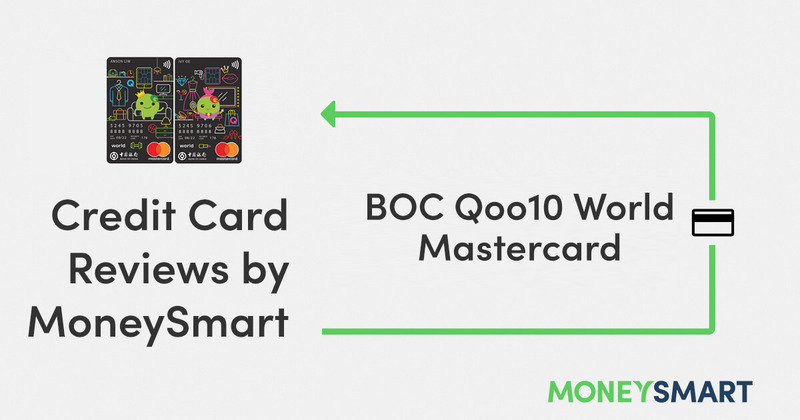 Let’s take a closer look at the BOC Qoo10 Mastercard and see if it’s worth signing up for. So, I mentioned the “BOC Qoo10 Mastercard” but it turns out there are actually 2 versions of the card – Platinum and World. They have different eligibility requirements and slightly different rewards. In a nutshell, the Platinum is marketed to students and fresh grads, whereas the World is for working adults with higher expenditure. The lower tier BOC Qoo10 Platinum Mastercard has a credit limit of $500, and is primarily targeted at tertiary students (min. 18 years old) with no income. However, it’s also open to adults with a minimum income of $18,000 p.a., which is one of the lowest requirements on the market. Most credit cards start at $30,000 p.a. With a sub-$30K income, your only other credit card options are the BOC F1RST Card and Standard Chartered Manhattan 500 Card. But their cash rebates of 0.5% and 0.25% are really pathetic compared to the BOC Qoo10 Platinum Mastercard. If you can meet the minimum spend of $200 a month, the BOC Qoo10 Mastercard gives you an impressive 10% rebate on public transport and 3% on the other spending categories, with caps of course. 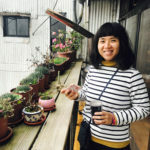 Verdict: Provided you can hit the minimum spend of $200, this is probably the most rewarding credit cards around for low-income adults or tertiary students. But sign up for this card if you don’t mind getting your rebate in Qmoney. The “adult” version, the BOC Qoo10 World Mastercard, is a more typical credit card with a minimum income requirement of $30,000 p.a. Rebates vary with the amount of money you spend each month. If you hit the minimum spending requirement of $300, you qualify for the lower tier, which nets you 3% rebate on Qoo10 purchases. That’s pathetic because most online shopping credit cards can beat this rebate – you can get cashback on all online purchases AND the rebate is in real money. If you get this card, you should only do so if you’re confident about hitting the higher minimum spending requirement of $600 to qualify for the higher tier rebates, which are way better. In addition to that 20% on public transport I was talking about, there’s also 5% rebate on everyday spending categories – dining, entertainment, Grab rides, taxis, online spending and overseas spending. That accounts for just about everything you spend on, doesn’t it? Verdict: If you want to get this credit card, you must commit to hitting the $600 minimum spend, and that might mean switching some of your regular spending to this card. Fortunately, now’s a good time to consider switching, particularly if you’re an avid online spender (not just online shopping, but also stuff like online groceries, food delivery and travel bookings). Why? Because the DBS Live Fresh credit card, which used to give you a really good 5% cashback on online spending, is about to change its T&Cs to cap your online spending rebate to a pathetic $20 a month. So if you’re looking for something to give you better returns on your online spend, the BOC Qoo10 Mastercard is a contender. I’ve written this enough times to feel like a broken record. But I think it’s worth repeating once more. Your rebates are in Qmoney (Qoo10 credits that cannot be cashed out). For now, that doesn’t sound like a real problem. After all, Qoo10 is a wondrous marketplace with just about every consumer good you can find. I’m sure most Singaporeans wouldn’t have trouble finding something to spend their Qmoney rebates on. But you know, this credit card is a completely transparent play by Qoo10 to get you to spend more money on their platform. By locking your rebates on their system, this credit card manipulates you into shifting your spending habits. For example, if you’ve always shopped on Lazada or Amazon, you’ll now have to buy at least some stuff on Qoo10 to use up your Qmoney rebates. Then you’ll accrue some more Qmoney from your Qoo10 purchase. Then you’ll have to find something to spend the Qmoney on. And the cycle continues. That’s the real point of this tie-up with BOC, I think. It’s not so much a credit card as it is an extremely advanced Qoo10 rewards/loyalty programme. For those of you who don’t see anything wrong with this picture, think about what’s going to happen to your Qmoney rebates if Qoo10 decides to close shop, or dramatically jack up its prices. Now you see that the potential issues go deeper than just having to find something nice to buy on the platform, right? Remember that Qoo10 is not a regulated financial institution like a bank. Getting rebates in Qmoney is a lot riskier than getting regular cash rebates with a cashback credit card. So, if you’re thinking about signing up for a BOC Qoo10 Mastercard, proceed with caution and do watch your statements like a hawk. What do you think of the BOC Qoo10 Mastercard? Tell us in the comments! Lemon Law in Singapore – What Are Your Legal Rights If You Buy Defective Goods?